António J. Falcăo holds a Licenciatura in Computer Science Engineering from the Faculty of Sciences and Technology of the New University of Lisbon, and a Master of Science (M.Sc.) degree in Computer Science Engineering from the same University. 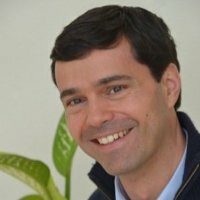 He is a project manager and research engineer at the CA3 Computational Intelligence Research Group at Uninova (New Technologies Research Institute) working on projects for the European Space Agency since 2002. His research interests include automated analysis of large non-categorical time series datasets. He’s looking at automatic detection of correlations and patterns within these datasets, as well as focusing on the topic of causality between these non-categorical data. He is a Certified Scrum Master, as well as having several specific training courses, including Agile Requirements Management, Agile Estimation and Planning. He also concluded Software Engineering and Quality Assurance training courses, both organized by ESA.